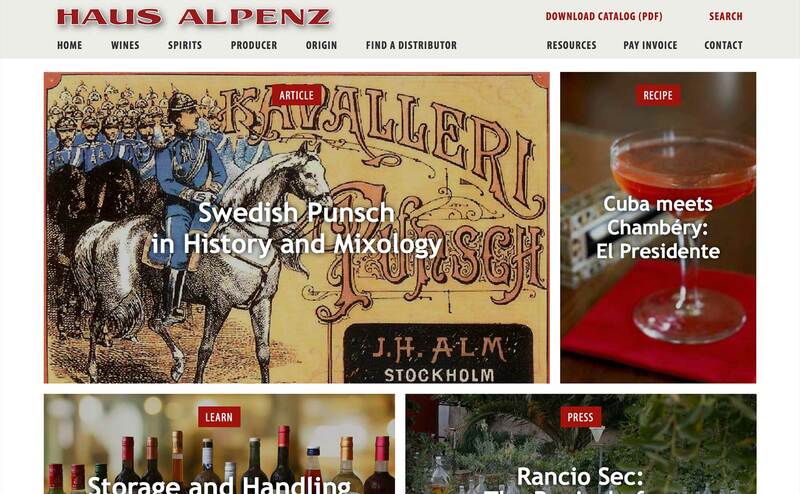 Two years of hard work yielded this deep new web site for this storied importer of wines and liquors. The public surface is a speedy, reliable, statically-generated web site backed by a lightning-fast, rich search feature. Inside, the site presents extensive writing and imagery tied together by a sophisticated custom data model, backed by a multi-faceted content management strategy that will enable the site to grow efficiently in response to this rapidly-growing company. Additional features are custom interactive maps, integrated glossary, and a fully-integrated, custom mixed drink recipe database. 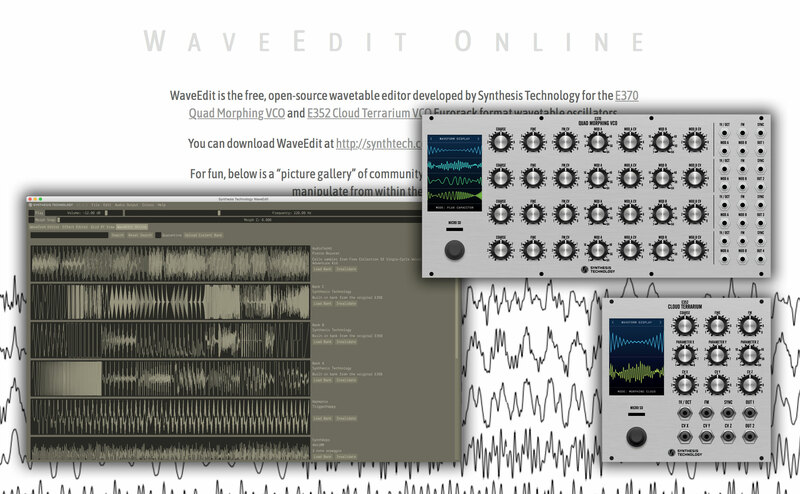 Synthesis Technology launched WaveEdit, a free, open-source wavetable editing tool, primarily for use with their new, state-of-the-art synthesizer modules, the E370 Quad Morphing VCO and the E352 Cloud Terrarium. This new software needed a sync service and editorial oversight mechanism so that the new community of musicians around the E370 and E352 could share with each other the wavetables they create. Martin Doudoroff LLC stepped in with the custom-built WaveEdit Online service. TrueGrain is a unique software tool that makes it easy to take a color digital photo and reinterpret it as if it had been taken on a vintage black and white film stock. The software reinterprets the color and luminosity information of the original image according to the real-life measured non-linear response of the particular film, then integrates actual grain samples of the particular film into the resulting picture. 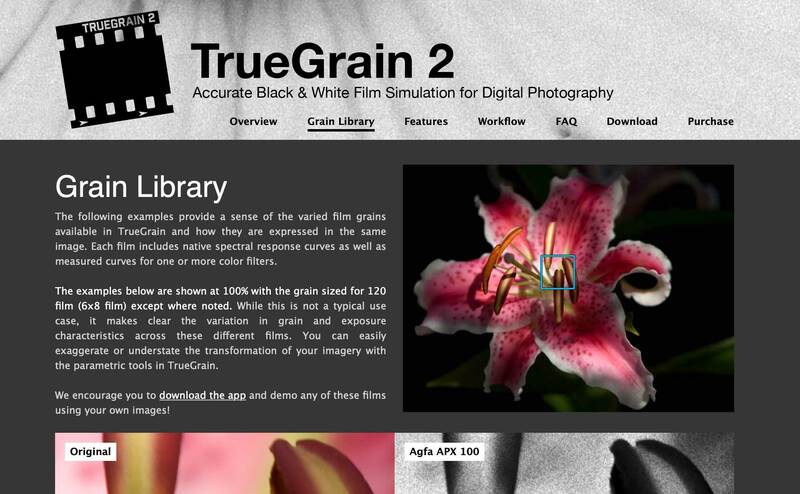 TrueGrain has been the most accurate film simulation on the market since the first release in 2007, and received a ground-up upgrade in 2017 for which Martin Doudoroff LLC created an in-depth web site. Modern Classics presents the most admired and desired contemporary drink creations, but goes beyond by also being the first independent, disciplined critical assessment ever of the “Cocktail Renaissance” of the last couple decades. Helming this project is New York Times drinks writer, journalist and author Robert Simonson. Modern Classics has been released to immediate acclaim. 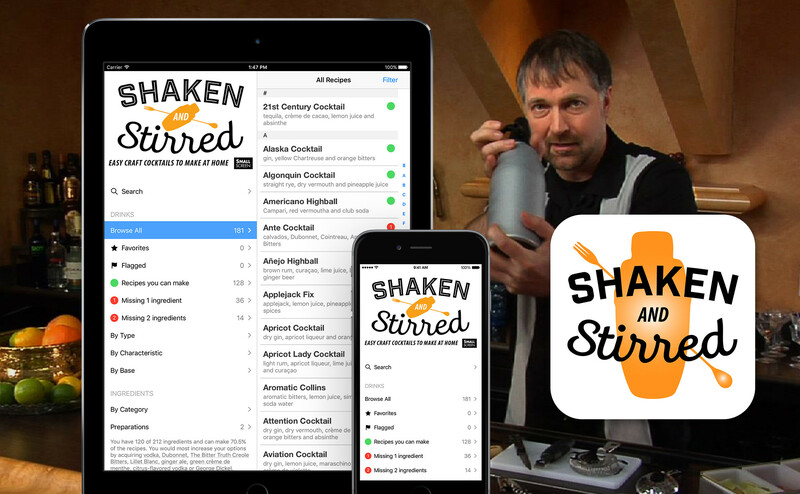 Shaken & Stirred is the natural combination of Martin Doudoroff LLC’s proven recipe app architecture with the approachable tutorial videos of Small Screen. 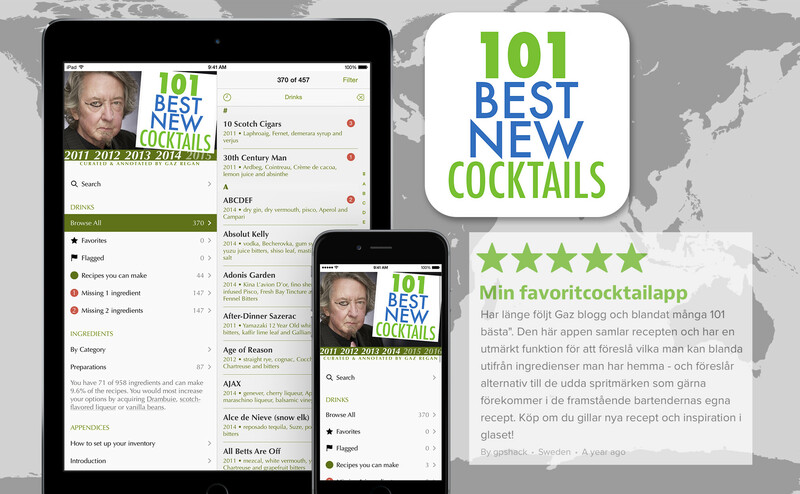 The result is the perfect mixed drinks app for beginners and the only recipe reference many casual mixologists will ever need. The carefully curated drinks are easy to make and reliable, and each is accompanied by a short tutorial video that discusses the drink and shows it being made. Wondrich’s Index of Punch is the least-understood and most radical of the entries in Martin Doudoroff LLC’s suite of recipe apps. 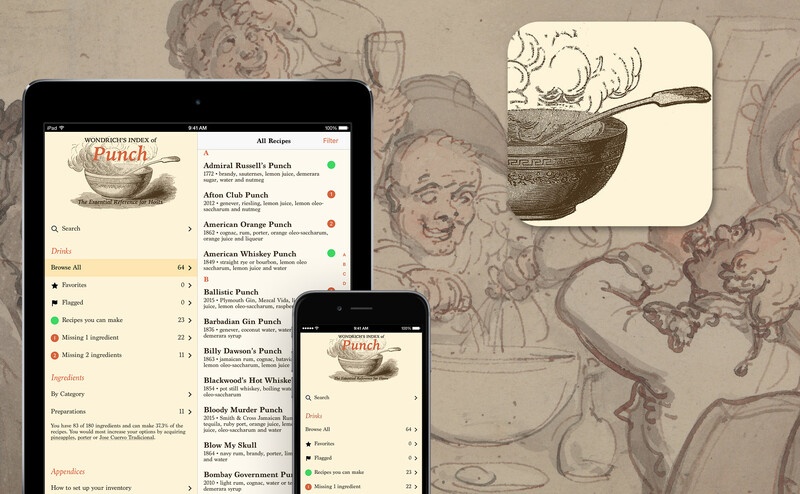 This app aspires to nothing less than the revival of the nearly extinct European tradition of punch service. While victory is not yet on the horizon, this app is playing a long game, while serving as a superbly handy companion to historian David Wondrich’s seminal work, “Punch: The Delights and Dangers of the Flowing Bowl”. Cocktail Kingdom has been a major force in contemporary mixology, providing glorious reprints of important historical texts and manufacturing high quality barware enjoyed all over the world. 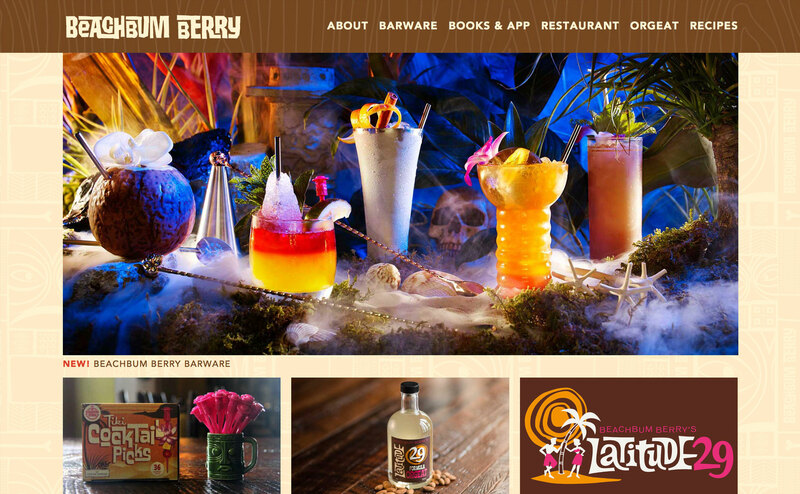 When they collaborated with Jeff “Beachbum” Berry on a new Tiki-centric product line, it was time to overhaul Beachbum Berry’s home on the web. Martin Doudoroff LLC implemented, and helped design—in collaboration with Cocktail Kingdom’s Jeannette Kaczorowski and Victoria Abrami—the new site. 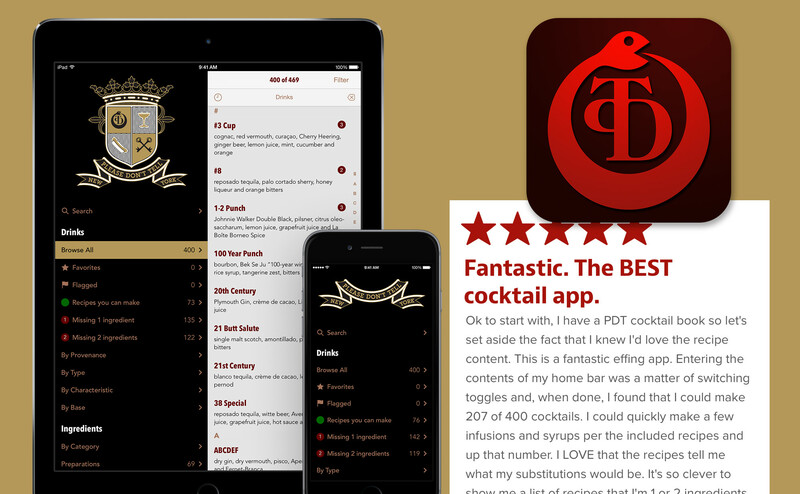 Over a year in development, the PDT Cocktails app exemplifies Jim Meehan’s process and attention to detail. Intended to serve simultaneously as the official recipe archive for the famous bar, an updated companion to The PDT Cocktail Book, and an inspiration to a new audience of cocktail enthusiasts, Jim and his colleagues retested all 400 drinks, carefully photographed them, and then photographed every ingredient, of which there are many hundred. This lavish app has been a success in every sense. In 2011, gaz regan, the bartender, author and moral authority formerly known as Gary Regan, leveraged his enormous reach to begin collecting and promoting interesting new drink recipes from all over the world, and compiling them in almanacs. This constantly-growing work not only draws attention to underrepresented individuals and markets, but exposes trends and evolution in the craft on a truly global scale, and it forms the basis for the third release in Martin Doudoroff LLC’s new suite of mixed drink recipe apps. In 2014, Beachbum Berry decided to stop writing books about exotic drinks and start serving them. 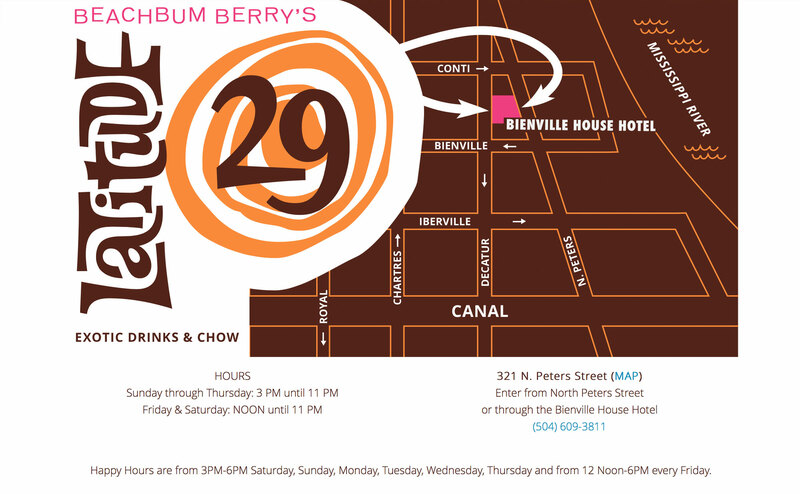 Beachbum Berry’s Latitude 29 opened in New Orleans in November 2014, and Martin Doudoroff LLC created their responsive, mobile-first web site. The spare design of the site is shocking, particularly for an otherwise maximalist Tiki restaurant. The Latitude 29 site evinces the new minimalism: streamlined designs that deliver vital information with White Pages efficiency, trading away adornment for speed. The site is backed by a similarly minimalist content management strategy that jettisons heavy, complex content management systems in favor of refreshingly simple, old school automation. 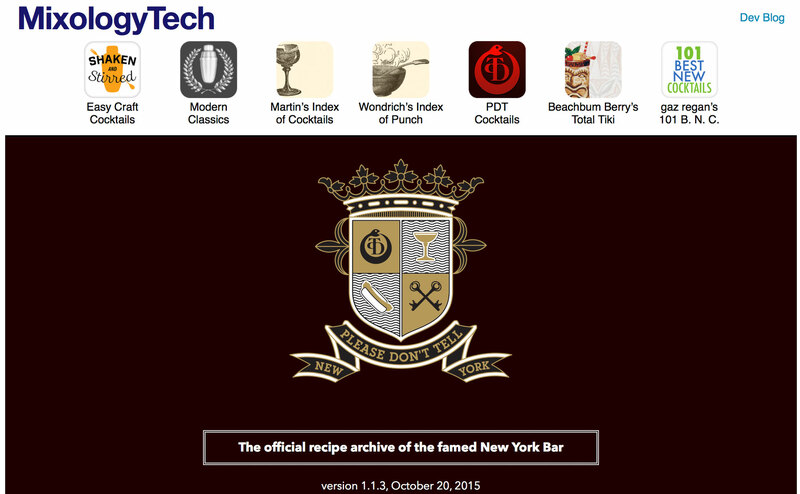 Following Total Tiki, the second release in Martin Doudoroff LLC’s new drink recipe app suite is Martin Doudoroff’s own wide-ranging curation of the published drink recipes of the first golden era of cocktails (roughly 1860s-1960s). Martin’s Index is possibly the definitive practical reference on historical drinks, and it continues to grow and delight cocktail enthusiasts around the world. As overwhelming as the original Paramount boxed set was, it was only the first half of the story. Again, Martin Doudoroff LLC implemented, and aided in the design of, the computer-based portion of the second volume of Third Man/Revenant Records’ box set documenting this essential cultural history. This time, the same underlying technical solution was recycled from the previous product, but we implemented a much more elaborate art deco-inspired interface with animated elements by noted stop-motion animator Kelli Anderson. 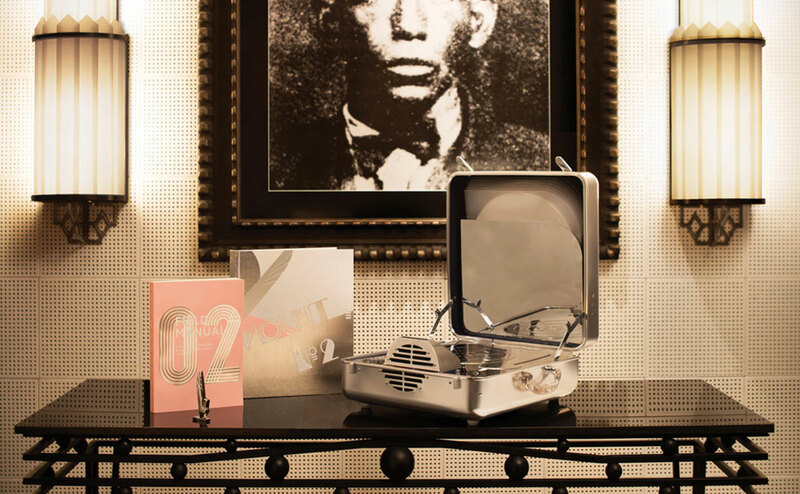 The Volume 2 box set was released in early 2015 and won the Grammy for best box set in February 2016. 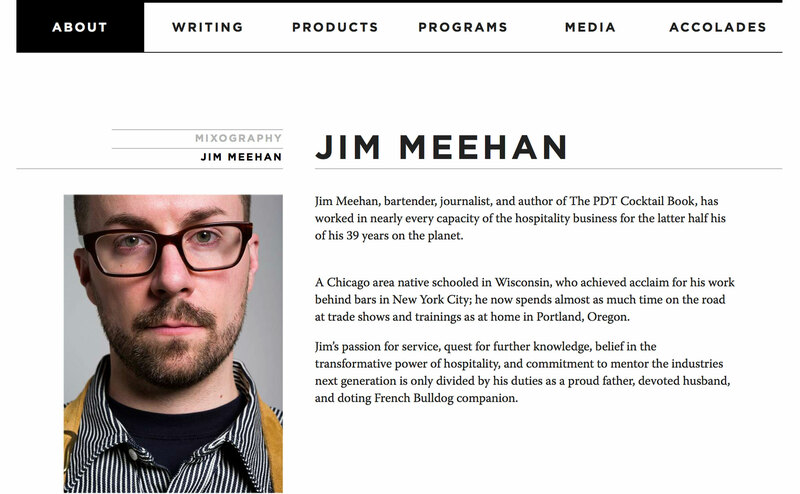 In 2014, Jim Meehan had his own bar, PDT, which he had diligently built into being one of the few that could be genuinely termed “world famous”, he had written and published the best-received and best-selling bar book of his generation, and had just won a James Beard award for his efforts. It was time to step out from behind PDT and into something new, as yet undetermined. He wanted a web site behind him, and he worked with designer Will Gardner on a design. Martin Doudoroff LLC adapted the design to a responsive layout, implemented it, and maintains it to this day. In late 2013, building on prior experience developing apps for the iPhone and iPad, Martin Doudoroff LLC embarked on an ambitious new project meant to yield a suite of remarkable products all sharing a common architecture and initial investment. Logically, the first release from this new endeavor would be the third app-based expression of Jeff “Beachbum” Berry’s Tiki research. 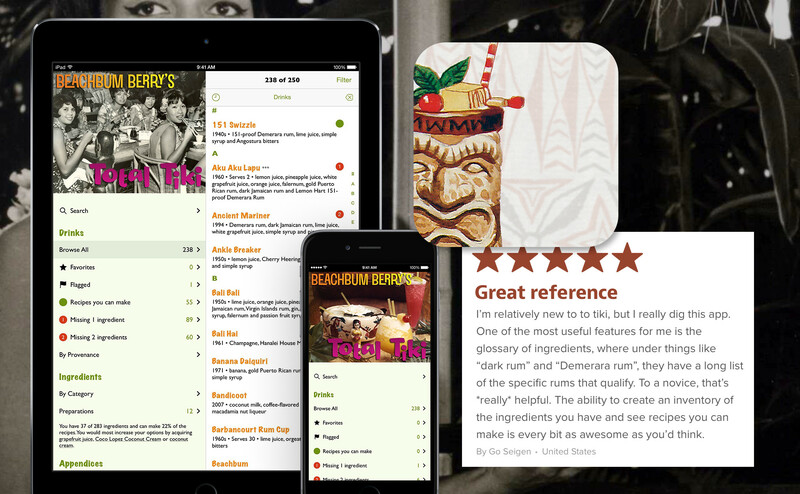 Beachbum Berry’s Total Tiki features updated content, a more searchable, more filterable database than ever before, and most importantly, an integrated ingredient inventory feature that helps the customer identify which drinks they can make with what they have at hand. From its release, the app enjoyed immediate acclaim and consistently strong sales, boosting its subject matter and kicking off the new product line. Revenant Records producer Dean Blackwell and Third Man Records owner Jack White set out to create the mother of all reissue projects. One critical component of this unprecedented project was a computer-based interface for navigating 800 musical recordings in ways beyond the capabilities of common software like iTunes. Martin Doudoroff LLC identified, designed and implemented the unorthodox solution that met the tricky requirements and the available budget. 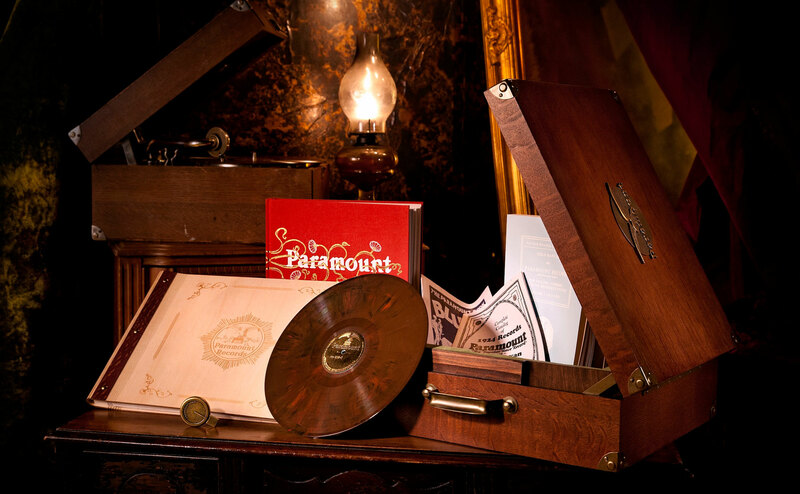 This lavish box set was released in late 2013 and subsequently won the Grammy for best box set in February 2014. 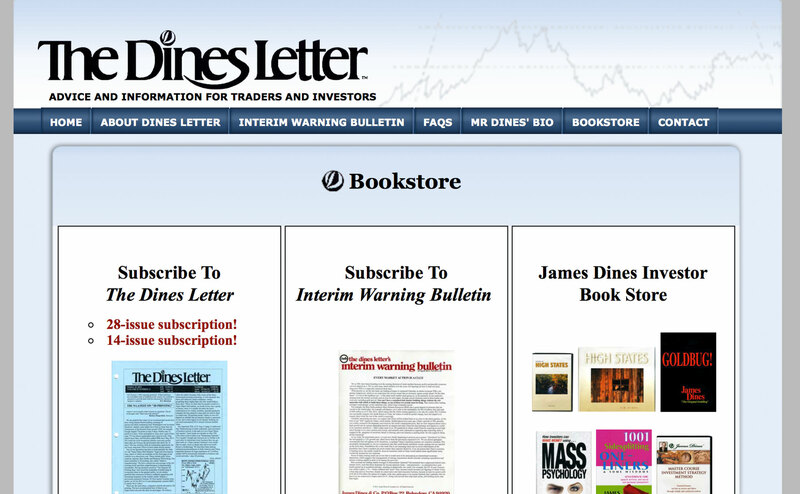 Venerable self-publishing market timer James Dines had a problem: he was launching a new web site which was to augment the subscriptions and sales of his newsletters and books. Dines & Co. needed an e-commerce system, but had very specific security requirements, needed the system to fit into existing office processes and needed to work with the payment processor they already had. Martin Doudoroff LLC created an unusual bespoke e-commerce system that met all three requirements and which is still in use today. 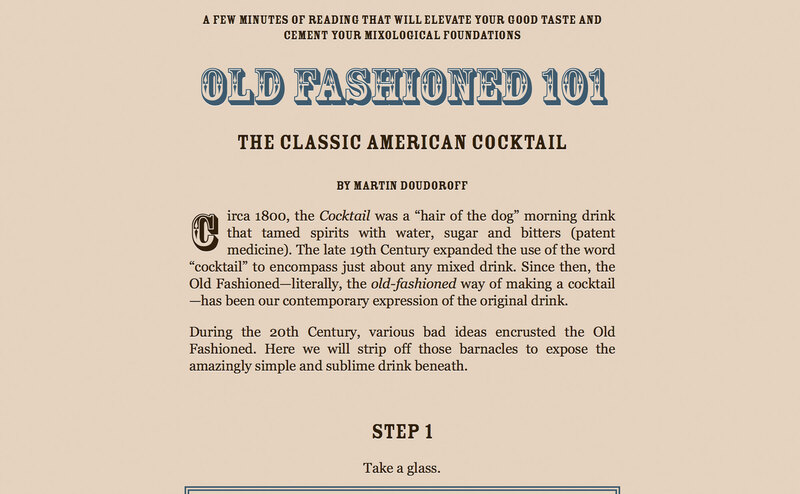 Old Fashioned 101 is merely a cranky editorial written to puncture the myths about this ur-cocktail, but also served as a web typography experiment employing the then-nascent TypeKit web font service. Surprisingly, Old Fashioned 101 remains popular enough as of February 2016 to draw around 200 readers per day! What little time Lloyd Chambers has after testing and writing about camera and computer equipment he spends on his bicycles. 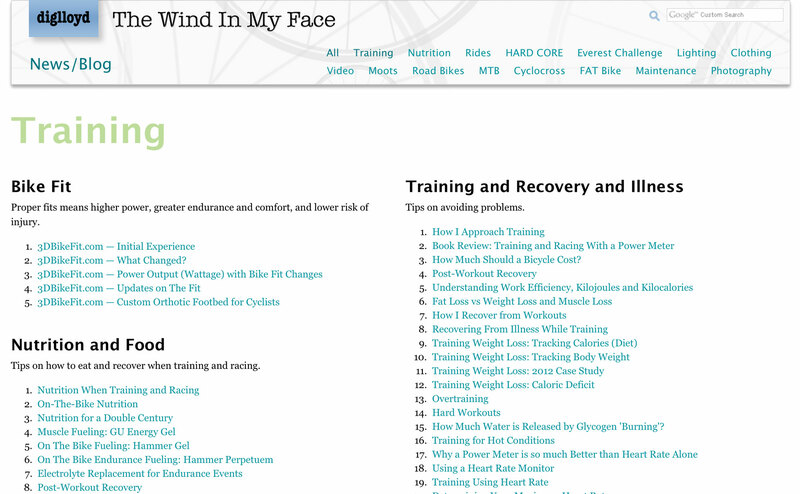 Inevitably, we spun off for him a third web publication dedicated to competitive amateur cycling. Part diary, part equipment review site, the Wind In My Face was implemented with many of the same tools Martin Doudoroff LLC developed for diglloyd.com and macperformanceguide.com. In 2011, Lloyd Chambers wanted to upgrade the performance testing tools he had developed, and was already selling on the side, in order to seek more customers. Martin Doudoroff LLC helped repackage and present the newly-dubbed “diglloydTools” suite, and also created simple, friendly, graphical front-ends for each component. Vermouth 101 is a homegrown project to simultaneously raise American education about aperitif wines and test out some ideas about best practices for web authoring. 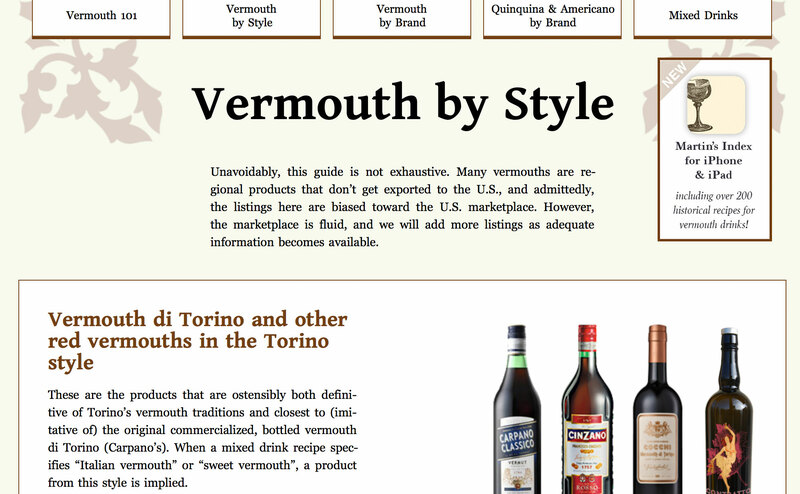 For such a modest project, Vermouth 101 has enjoyed remarkable popularity: five years later, in 2016, the site is still averaging well over 500 readers every day and is consistently cited by vermouth producers as helping inspire the revitalization of the category. With the launch of My Bar, Martin Doudoroff LLC established the MixologyTech moniker (not what we would call a “brand”) to differentiate its drinks projects from its other work, and set up a new mobile-friendly web site for the purpose. 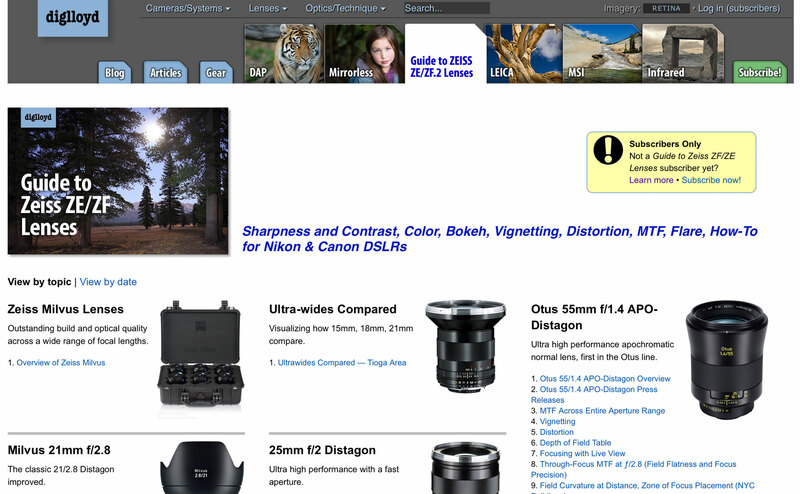 mixologytech.com was (and remains, in updated form) an early example of a so-called “responsive” web site: one that pragmatically morphs to support a wide variety of mobile and desktop devices. In 2011, during the heady days of the app gold rush, Martin Doudoroff LLC made a miss-step, and invested heavily in developing an app to aid with home bar inventory management. 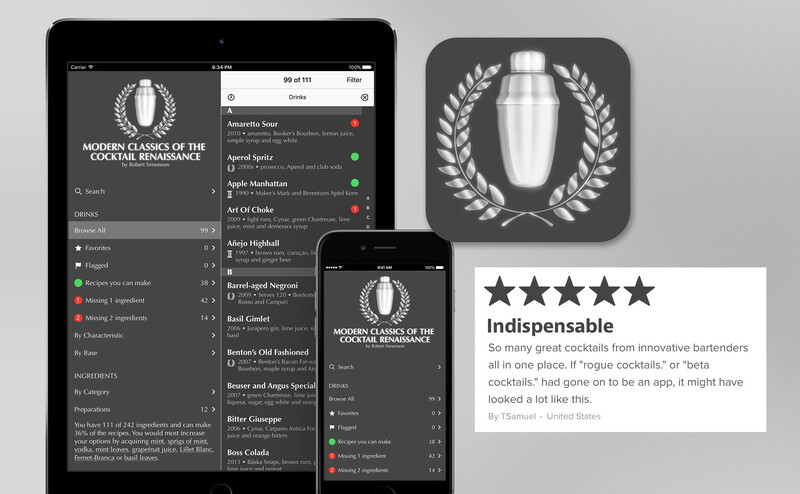 The result: My Bar, an ambitious product featuring a unique, curated, hierarchical database of liquor and other mixed drink ingredients, barcode reading, and iCloud sync. As it happned, the market niche for this app was passionate, but very small indeed—too small to be sustainable as a business. However, there was a silver lining to this difficult learning experience: those passionate customers turned out to be a potent force for the crowd sourcing components of My Bar, helping to quintuple the size of the database over the ensuing years and setting the stage for a new generation of cocktail apps. There’s never been anything quite like My Bar, and the app remains in use by some, today. Apple’s introduction of the iPad presented a new opportunity and challenge to app developers. 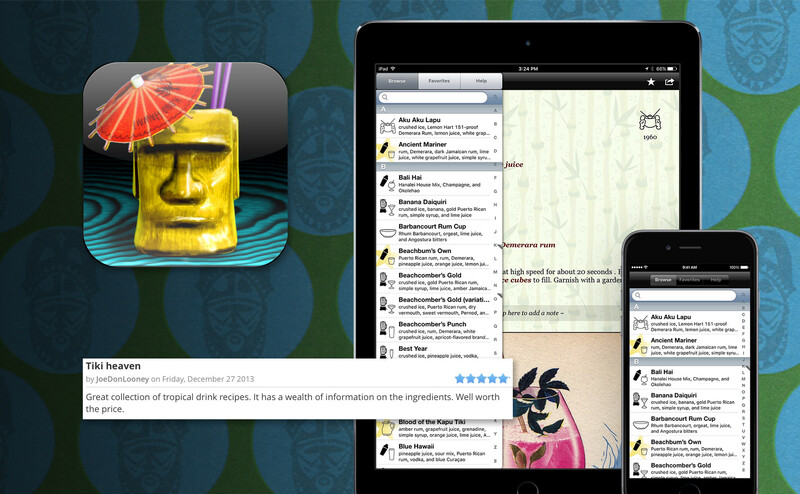 Martin Doudoroff LLC responded with Tiki+ 2.0, our first “Universal” app (supporting the iPhone and iPad simultaneously—now the norm). The new version also featured more recipes, a streamlined user interface, and upgraded illustrations to take full advantage of the iPad’s larger canvas. This popular app remains in use by some, today. Computers now have been an inseparable part of photography for many years, and Lloyd Chambers had been writing so much material about the Macintosh, data security, memory and high performance storage that it finally made sense to give these topics their own forum. 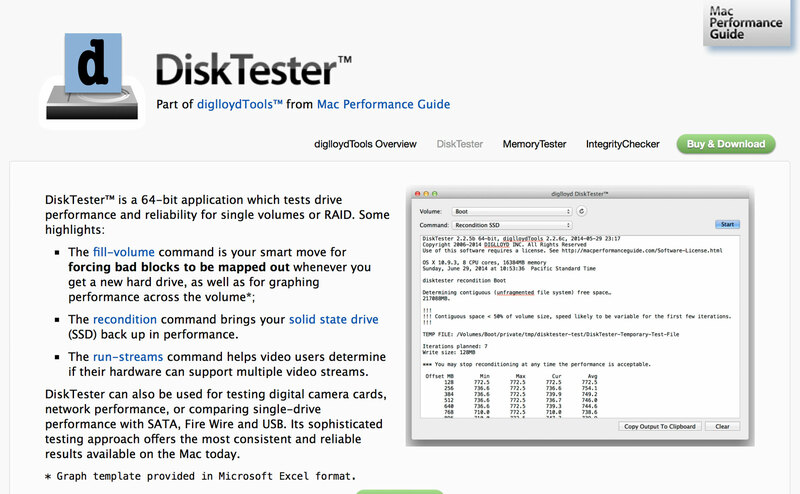 Leveraging much of the work already done for diglloyd.com—and preserving the same mature, scalable production workflow—we spun off Mac Performance Guide, which has remained an active, distinctly independent voice in the technology press. Lloyd Chambers is an exceptionally persistent, diligent and enthusiastic student of camera optics and systems, and he got serious about self-publishing reviews and commentary around 2007. 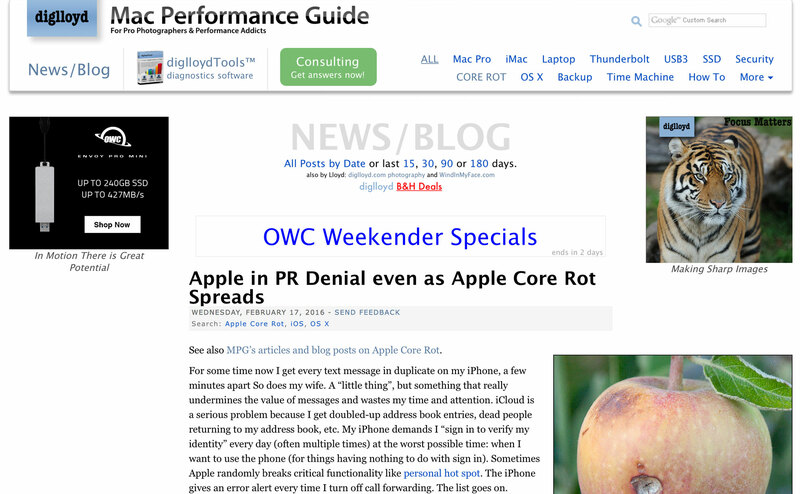 His prolific output quickly overwhelmed his ability to organize and present the material on his own and he began working with Martin Doudoroff LLC to iterate and grow his cottage industry into a sprawling and deep publication encompassing multiple subscription products and a blog read by thousands every day. 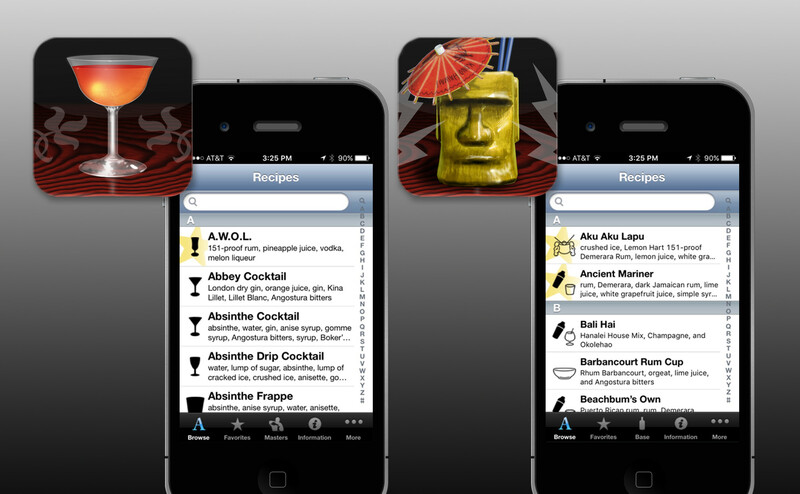 Co-developed with Ian Baird, Cocktails+ was one of the original apps featured by Apple on the launch day of the iPhone App Store in 2008. The app was a fun, yet surprisingly rigorous exploration of drink recipes relevant to the flourishing cocktail renaissance begun in the early 2000s. 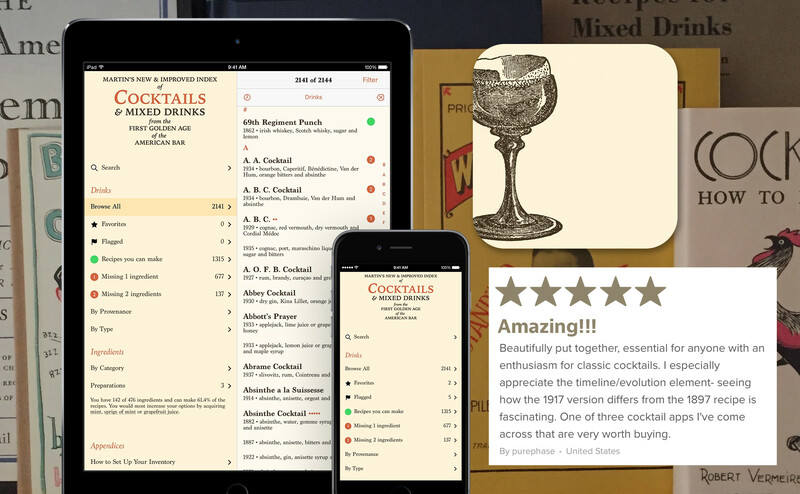 The app presented accurate versions of many hundreds of mixed drink recipes from historical and contemporary sources, with full citations and helpful ingredient definitions. 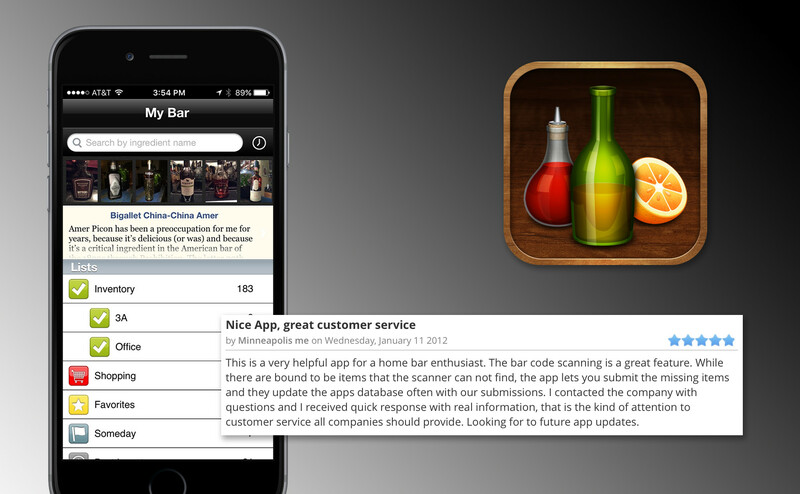 Moreover, the app included cross-referencing by base ingredient, drink type, flavors and other attributes. Shortly thereafter, we realized there was a great opportunity to spin off a companion app focused on “exotic” drinks, using the same codebase, so we approached Jeff “Beachbum” Berry, the Tiki drinks authority, and he agreed! Using Jeff’s authoritative research as the basis and lavishly decorating the app with ephemera from Jeff’s collection, Tiki+ was born to the delight of thousands of customers. Although both apps have since been superseded, they constituted a minor landmark of mobile databases in their time, and were the first in a long serious of thematic products for Martin Doudoroff LLC. Both remain in use by some, today.